Container moving is no longer restricted to commercial areas. If you have a large amount of goods to ship, then investigating options for container moving can be a good method to consider. International container movers are specialists in container shipping all over the world. Obtaining and comparing quotes is a good method of cross checking what different options are available to you. You can compare not only the prices from international container movers. Also comparing the different options and services that they include as part of their overall offer to you. 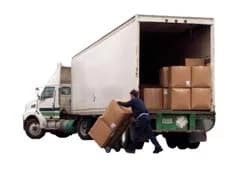 With www.intlmovers.com you can make an informed decision about the best choice to suit your international moving needs. Requesting quotes from international container movers is quick and easy when you use www.intlmovers.com. In a single submission, your request goes to a number of international container companies that can assist you with your movement enquiry. Containers are available in a standard sizes that offer the potential to move a volume of goods for a more cost effective price.